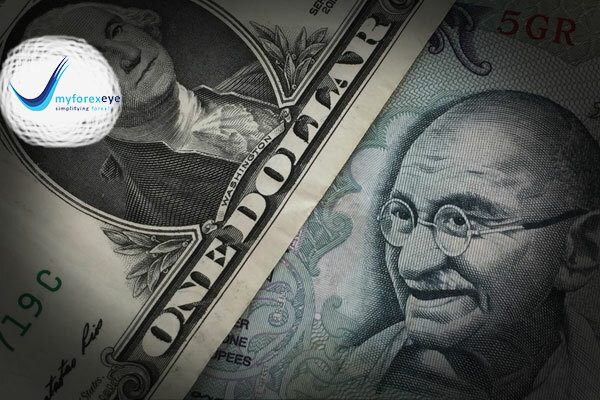 The Indian rupee fell for a second straight week against the dollar, on broad greenback strength amid weakness in the euro, even as lower oil prices and likely foreign fund inflows in local bonds following a surprise rate cut at home restricted further losses. The rupee settled at 71.30 to a dollar, against 71.45 at previous close. The currency opened at 71.38 and rose to day’s high of 71.02. Most Asian currencies ended little changed to higher today. European markets are mixed today. The CAC 40 is up 0.25% while the FTSE 100 gains 0.16%. The DAX is even. Wall Street stocks sank on Thursday as worries that the United States and China would not be able to reach a trade deal increased concerns about slowing global economic growth. U.S. stocks had already been under pressure after the European Commission slashed its euro zone growth forecasts for 2019 and 2020 due to an expected slowdown in the largest countries of the bloc, partly due to trade tensions. The Dow Jones Industrial Average fell 220.77 points, or 0.87 percent, to 25,169.53, the S&P 500 lost 25.56 points, or 0.94 percent, to 2,706.05 and the Nasdaq Composite dropped 86.93 points, or 1.18 percent, to 7,288.35. The euro held at a two-week low on Friday as traders nursed losses in a week of bad data that indicated an economic slowdown in Europe was spreading as trade tensions between United States and China remain high. The dollar was holding close to two-week highs against the euro in early trading in Europe Friday after a report downplaying the chances of the U.S. and China ending their trade war.The US Dollar Index, which tracks the greenback against a basket of other major currencies, was at 96.38, closing in on a new high for 2019. It’s now risen for the last six days, the longest continuous rally since October. Against the Euro, it was at $1.1336. It’s been a tough week for the euro, which has lost 1.0 percent. The euro lost ground after the release of the European Commission economic forecasts. The EC has projected moderate growth in the EU, but plenty of uncertainty has dampened confidence. The forecast lowered its growth forecast for the euro zone to 1.9% in 2018, down from 2.1% in the November forecast. For 2019, the growth forecast has also been revised down to 1.5%, compared to 1.9% in the November forecast. Inflation slipped in late 2018 due to lower oil prices, with an average inflation level of 1.7%. This is expected to dip to 1.6% in 2019.